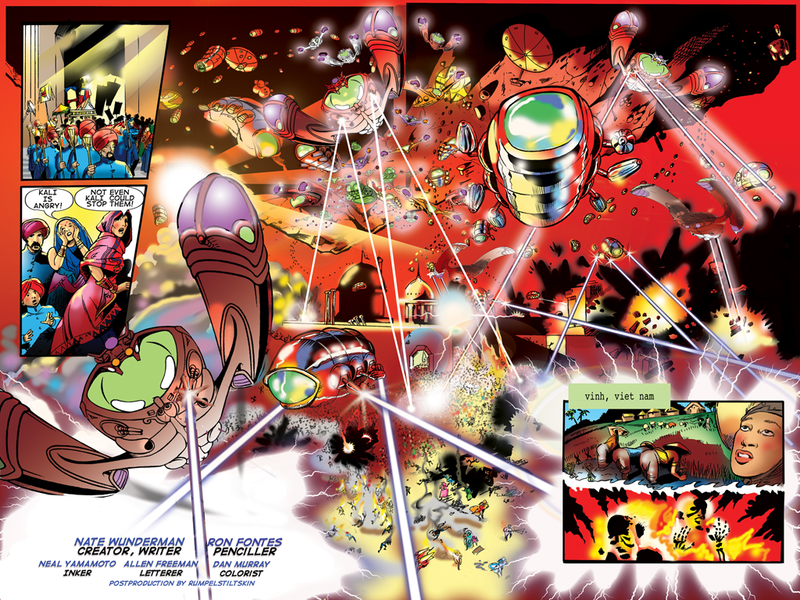 The initial attack of EARTH INVASION’s primary antagonist – the KAZOOP. 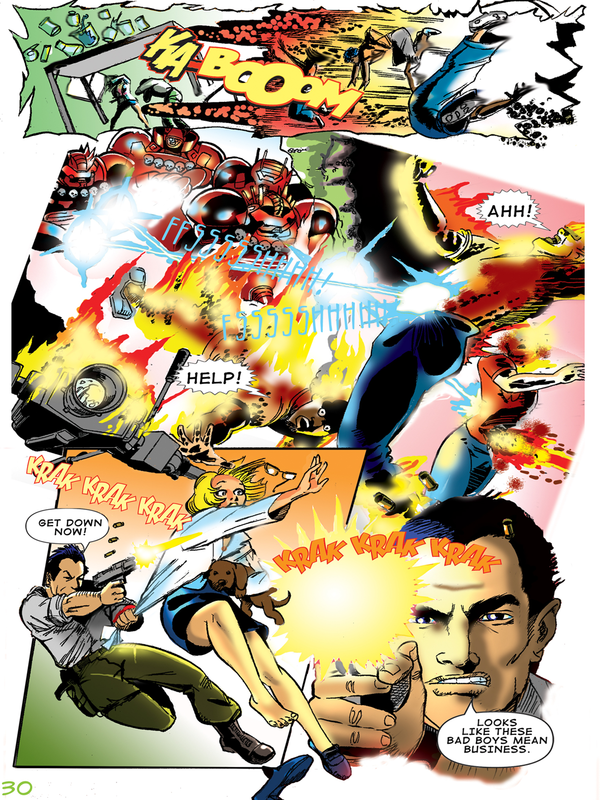 Nate Josephson, one of the elite members of the Home Guard, an anti-Kazoop military operation, takes down Kazoop invaders. This entry was posted in Columns and tagged alien invasion, aliens, earth invasion, science fiction, science fiction comic. Bookmark the permalink. Follow any comments here with the RSS feed for this post. Post a comment or leave a trackback: Trackback URL.